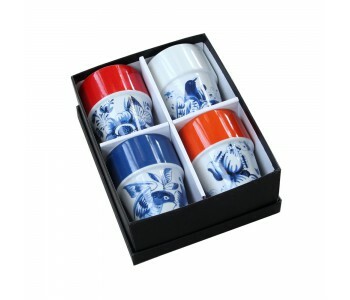 These cups are based on the typical Delftware tiles. You’ll have a truly pleasant time drinking from these cups. Because the cups come in a set of four, they are especially beautiful in your cupboard. Available in red, white, blue, and orange. 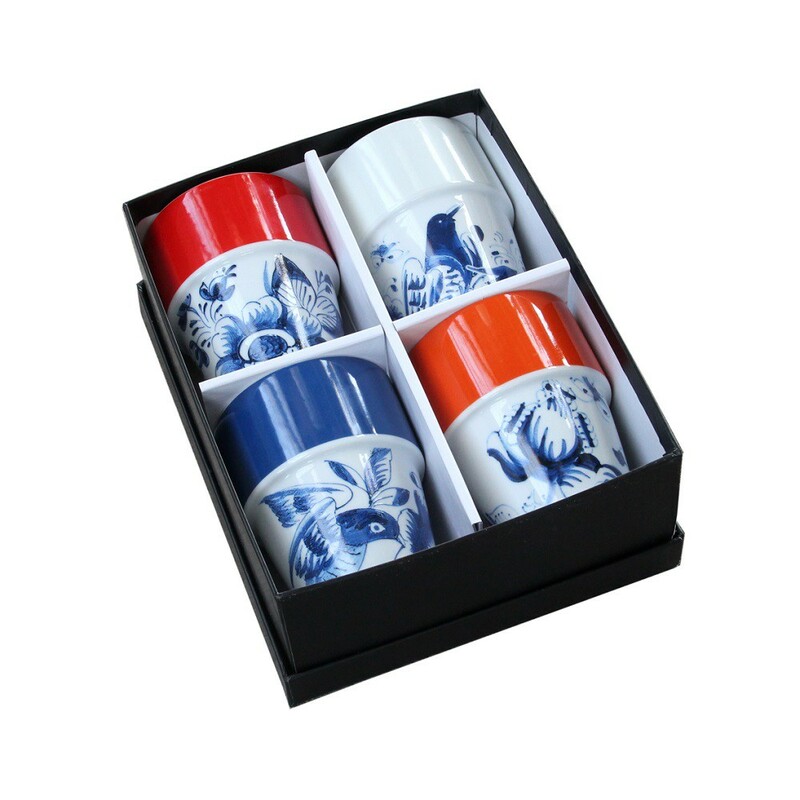 In combination with its Delftware patterns, this is the ideal Dutch gift. You can also buy it for yourself, of course. Don’t forget the matching dishes and plates! The side of this cup displays a typical Delftware print. These patterns would look beautiful on a tile, let alone on your cup.